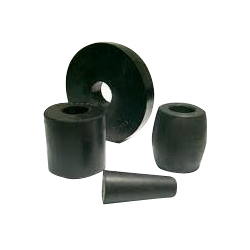 Came into existence in the year 2007 at Bengaluru in Karnataka, India, "Sri SAI Rubber products", has emerged as one of the trusted names involved in manufacturing as well as supplying a widespread array of Manual Plug Assembly, Motor Plug & Leak Test Seal. Owing to the support of our Managing Partner, Mr. Manas, we have established a strong foothold in the market. His farsightedness, managing effectiveness and leadership has enabled us to expand our range of products suiting the needs and demands of our clients. These products are highly accredited in the national market for their superior quality, reliability, durability, accurate sizes, impact resistance, rust proof, high tensile strength, innovative design, stress as well as impact resistance and high efficiency.